Origin / ancestry AK-47 Weed was made by Serious Seeds in the year of 1992. It contains ancestry from Afghani, Mexican, Thailand, and Columbia. May Relieve AK-47 with it’s raw power is good for stress and depression. Outdoor and Indoor Yields Growers can expect 14 ounces per plant outdoors, and 14 ounces per square meter indoors. Flowering time About 60 days. Harvest End of October, or about 60 days to flower indoors. Disease resistance Medium resistance. Susceptible to mold and rot in wet and humid environments. Adverse effects AK-47 can have anticholinergic side effects like dry mouth and eye irritation. 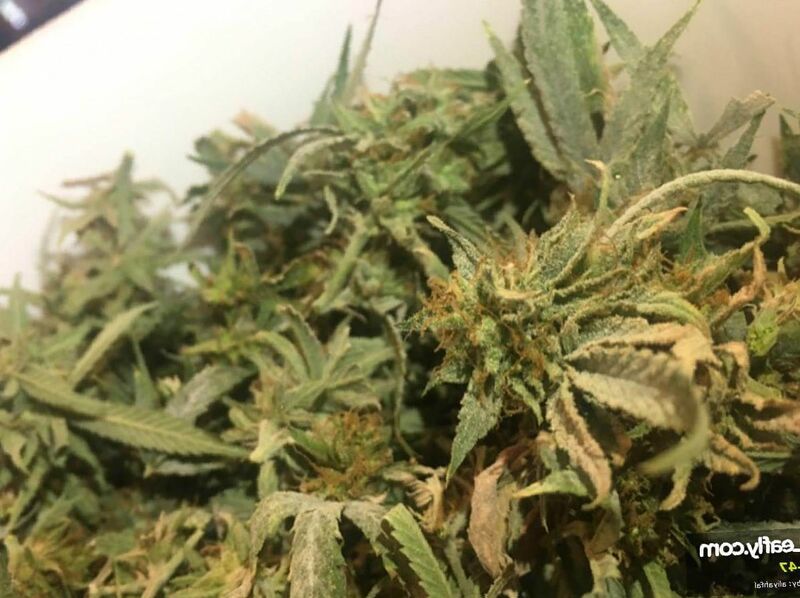 AK 47 Weed is a very smooth Sativa bud mixed with Afghani, South American, Thai, and Mexican. This creates a very balanced and flavorful product. Despite being named after the powerful assault rifle, the AK-47, this weed will not assault your mucosa or your body. Instead, it provides a steady, reliable, and intensely mellow and enjoyable high and relief from pain and anxiety. AK-47 is a strain which has hints of sour-lemon, earthiness, and tropical sweetness. There is also a taste of oak-wood and flowers. It is at the same time, sweet and pungent. It has a psychedelic looking almost neon green and orange color. 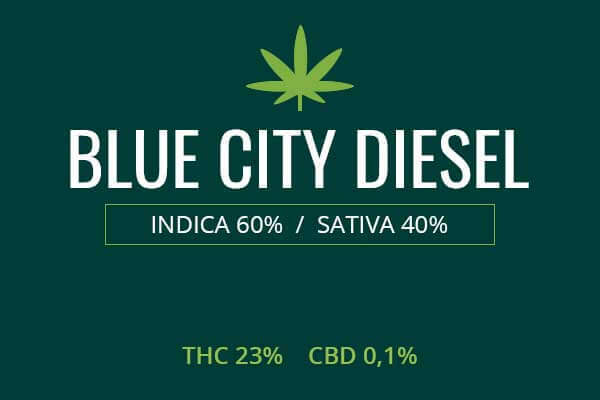 Some users detect spiciness, skunky, and diesel overtones. 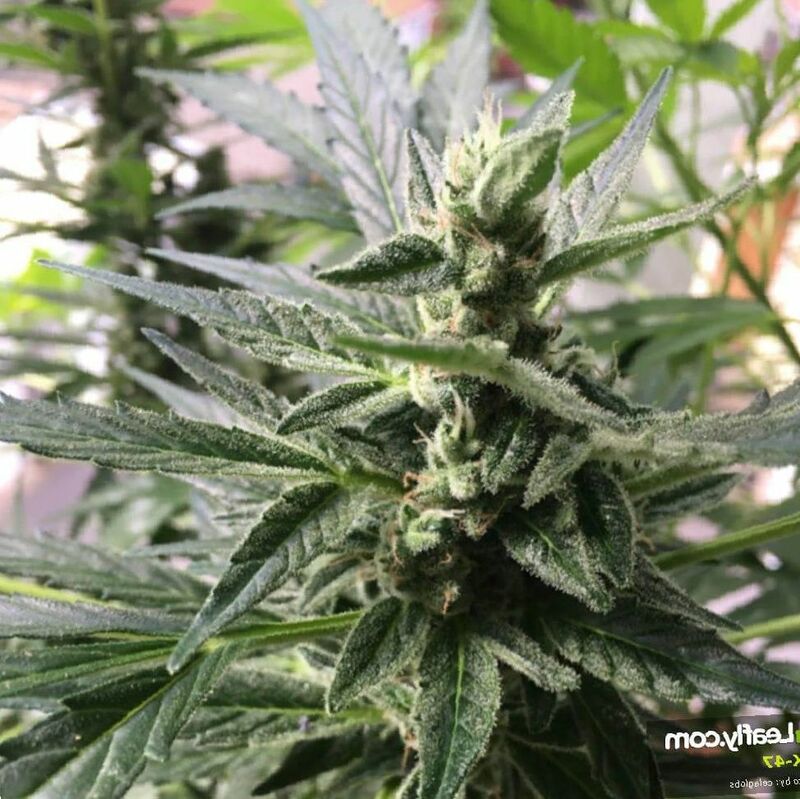 Growing weed from AK-47 Weed cannabis seeds and cuttings is of medium difficulty. AK-47 requires a well-lit and coolness in climate for best growth. It needs great ventilation and access to clean air to avoid dampness and molds. Using a fertilizer like Flower Power can be a nutritious addition. Plants will grow 30 inches to 80 inches tall. AK-47 is great for indoor growth. This must be done discreetly due to it’s distinct and powerful fragrance. Flowering for the AK-47 weed strain will take eight or nine weeks. It will produce about 14 ounces for every square meter. Outdoors, AK-47 needs a sunny, cool climate, without excessive humidity. Harvest time will be around the end of October. 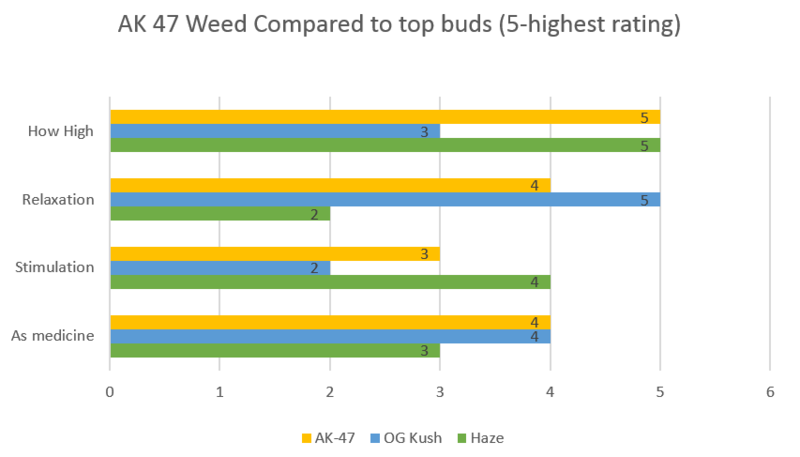 Growers can expect about 14 ounces per plant of AK-47. AK-47 Weed is a strong Sativa with up to 20% THC. 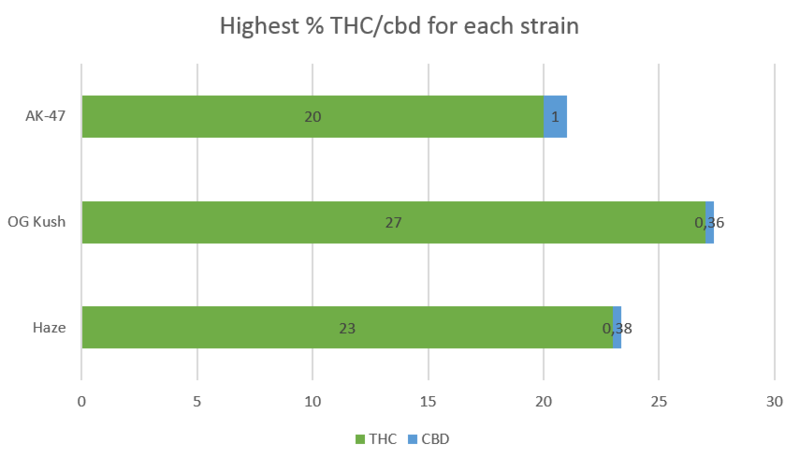 It’s Sativa properties make it both energizing and relaxing. For this reason, it is suitable for use in anxiety, depression, other mood disorders, and disorders of attention. It’s short duration of acute euphoric action can make it good to treat short-duration pain without making you stoned for too long, allowing you to get on to doing activities that require more sobriety. The longer lasting mellow effect isn’t too overpowering to use as a treatment during activities which require some focus. AK-47 is also good for chronic pain like muscle spasms for those who want to use something that is strong against pain, but also leaves you enough time to be clear-headed to get work done. 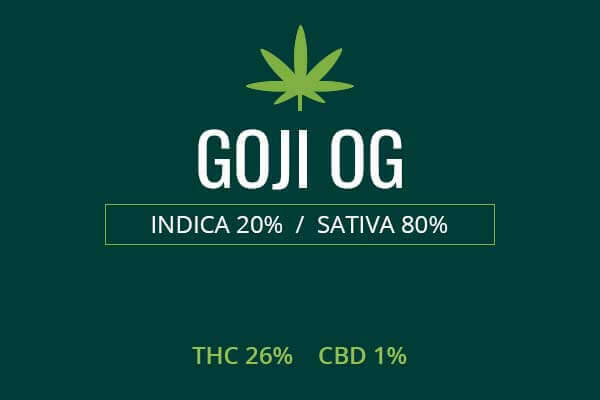 ¼ g – $ 72 USD Vendor: Queen Anne Cannabis Co. The hit of AK 47 Weed is delicious. Floral, sweet, pine, and a hint of spiciness make this offspring of promiscuity a palatable treat indeed. The immediate effect is of an acute, euphoric mood boost which provides an instant relief for anxious and depressed mood. It is relaxing while also energizing. It is known mostly as a strong mood booster that will also give you the munchies and the giggles. AK-47 is known for being the consummate sit back and chill weed strain. It will not overpower, lock you to the couch, or cause you to lose time. It can be smoked casually without issue. I am never tired of smoking AK 47 strain. It helps me with my anxiety and insomnia. I feel so peaceful. Great strain for a chill afternoon relaxing over music and some coffee. The taste is musky but not gross. Definitely, a stress reliever. Love the Sativa! AK-47 is an awesome Sativa-dominant strain! Euphoric rush on the inhale, blissful high on the exhale. After smoking, I feel extremely productive and very efficient. Vivid imagination. Pleasant thoughts. You become very witty, creative, and talkative. Everything is funnier and nothing seems boring. I enjoyed this high so much. AK-47 is a good way to start my day. 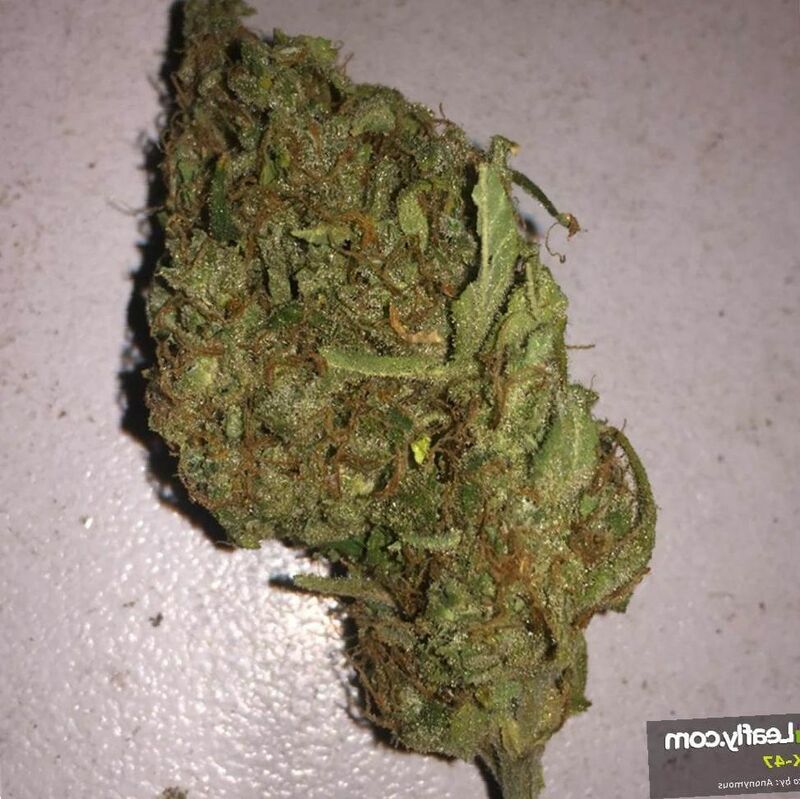 Very nice bud, kind of harsh but definitely strong. Long lasting and very nice taste. 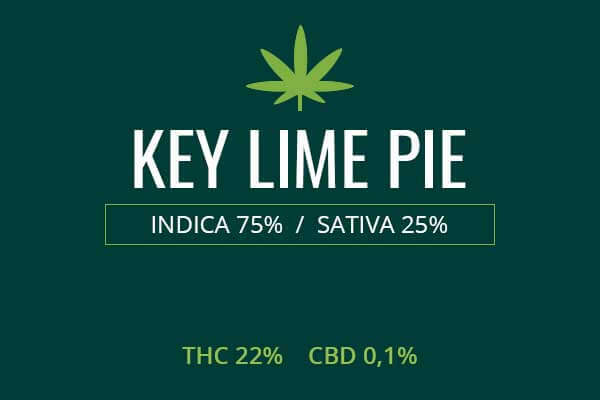 This strain helps me stay focused and concentrated but at the same time, I feel relaxed and clear-headed. AK 47 weed is absolutely amazing! T’s the only strain that almost doesn’t give me any serious side effects. No headaches, paranoia, dizziness, dry eyes or any other effects. The head high is very smooth, then an overwhelming calm, which is perfect for a quiet day with family. Love this strain! Grab some today. I like AK 47 buds. It feels like a flow of happiness is streaming from the top of my head. This strain is great for relaxing and working at the same time. Very quick uptake which lasts for about 2 hours. 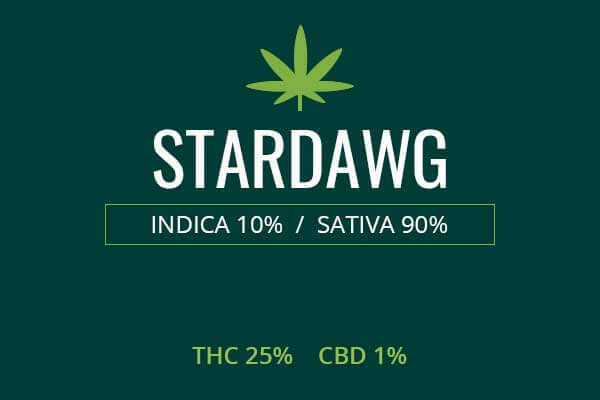 Sativa effects, happy, euphoric, great for depression, anxiety, stress, motivation and daytime use. It is awesome. AK 47cannabis is a great thing after a long day of work, when it’s time to finally relax and unwind. It lasts quite long and is capable of deeply relaxing the body and mind. It is good for treating mood disorders and gives you some pain relief too. It really helps me to control my mood.